What’s a WWE match without a commentator! 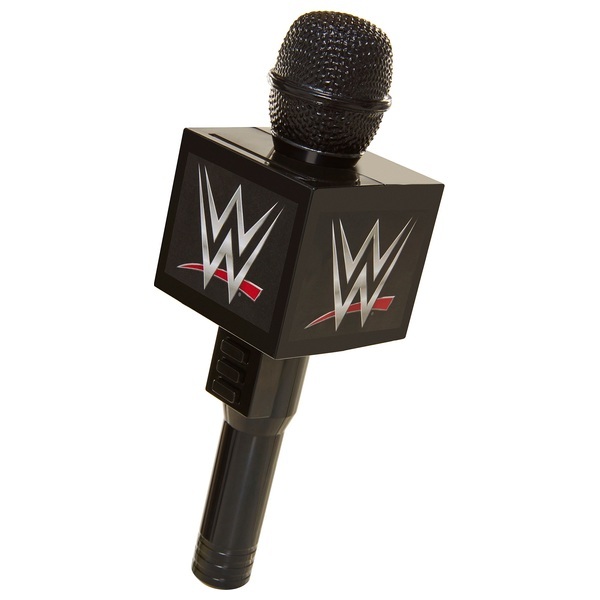 Bring the Match to Life with your own WWE Sound FX Deluxe Microphone. Press the buttons to hear the crowd cheer and match sounds. The WWE Sound FX Deluxe Microphone has three buttons included for different sounds. Press and hold any button as you speak to amplify your own voice. Now you can sound like a Superstar!